Despite all of your training in medical or dental school, many patients may feel that you have a long way to go with administrative efficiency or bedside manner. 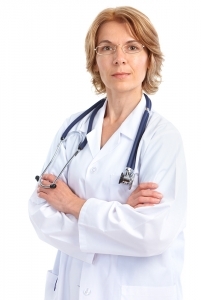 As medical professionals, your job is more than examining, diagnosing and treating patients. It is imperative that your patients feel truly cared for by you and your staff. Since there are many doctors and dentists to choose from, losing your patients to another professional is just a phone call away. The internet is filled with sites such as Angie’s List, HealthGrades, RateMDs and Vitals; all of which provide information related to patient satisfaction. Patients require more than simply taking care of their illness, injury or toothache. These patients, like it or not, are “customers.” They deserve to be treated with kindness, dignity, respect and courtesy. If a patient is having a particularly hard time with a physical condition, a mental problem or a painful dental ailment, taking the time to call and ask how they are doing can be particularly comforting. By going the extra mile, you are setting yourself apart from other professionals in your field. One of the items on patients’ complaint list is having to sit and wait for one or two hours to see their doctor or dentist, when they have had an appointment for weeks. If for some reason you are running behind, make sure your staff calls them or sends a text message advising them of the delay. This will send a message to your patients that you respect their schedules and they will in turn respect yours. Always have your staff call your patients if you are going to be out of town or have some other conflict for the date of their appointment. Never allow a patient to show up for an appointment only to be told that you are on vacation or attending a conference. Having a competent and friendly staff is a tremendous asset to your practice. They are an extension of you and their demeanor and attentiveness can go a long way to the success of your practice. They are the first and last people a patient sees when coming into your office. How they are perceived can result in positive or negative feelings. Occasionally, it is a good idea to visit with patients about how they feel about the staff members. Ask if they are they attentive, do they promptly return phone calls, and have they been treated well or has someone been rude or impatient with them. Since your staff can either make or break your practice, it is important to take care of them and show your appreciation for their team effort. Make them want to come to work every day, thrilled, excited and with a smile on their face. Take time to inquire about their likes and dislikes. Perhaps there are some changes in the office that would make them happy and improve their effectiveness. Whatever your needs are in your medical or dental practice, it is advisable to consult with a Georgia attorney who is experienced in the healthcare industry and other service professionals. Kevin S. Little, P.C. is an Augusta attorney who has worked with such professionals and entities for nearly 20 years. Let us advise you in regard to your practice. Contact us at (404) 685-1662 to schedule a confidential, no obligation consultation.